If your dishwasher is malfunctioning, you may not have to use your imagination! Eliminate the hassle and inconvenience of hand washing all your dishes by calling HappyAppliances today. If your dishwasher is broken or failing in any way, you need dishwasher repair services from a company that is experienced in fixing kitchen appliances quickly and effectively. HappyAppliances is the best provider of repairs for dishwashers across London. With experience in the business and appointments available six days a week, there simply isn't an appliance repair company that cares more about customer satisfaction. A broken dishwasher isn't always easy to diagnose. It is actually quite rare that your dishwasher simply won't start. But, even if it`s look like is working properly, your dishwasher might need a repair. If you come across any of the following warning signs, you can call HappyAppliances right away. Any of these signs could show that your dishwasher is in need of repair. If you recognize any of them early, our technicians can save you the cost of major repairs by resolving the problem before it requires your dishwasher to be replaced. When you book a dishwasher repair from HappyAppliances, you are getting service that you can trust. Our technicians are trained and highly skilled and will perform fast and competitively priced repair. Whether your dishwasher needs the pump screen cleaned, hoses unclogged, water valves replaced, or some other form of repair, there is no company that you can trust more than HappyAppliances to get the job done right. 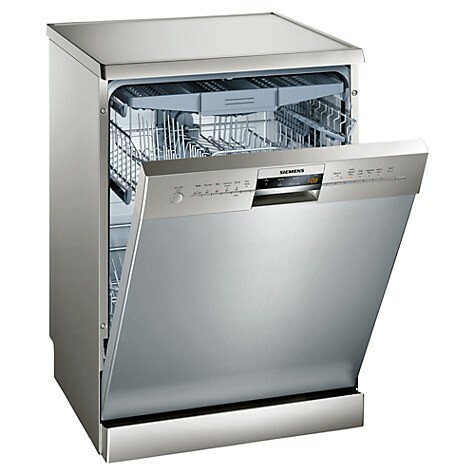 We offer complete dishwasher repairs to different areas in London. Specializing in precise, affordable dishwasher repair and efficient turn-around times, HappyAppliances is committed to providing cost-effective services to get all of your appliances back in peak operating condition. Our precision dishwasher repair services ensure that both the source and the symptom of the problem are resolved for repairs that last! Please do not hesitate to contact HappyAppliances when you need a dishwasher repair. We are also offering prompt dishwasher installation, so call us now.